Our manufacturing process is performed under guidance of expert professionals, followed demands for it is very high. These holders are offered to the clients in wide ranging specifications and attractive sizes as per requirement. 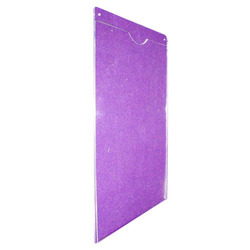 We are counted as the reputed manufacturer and trader of supreme quality A4 Acrylic Wall Chart Holder. Light in weight, the offered product is portable in its features. Attributing to its long lasting life and fine finish, the entire range of the chart holders offered by us is widely praised among our customers. We further assure the utmost quality of the whole range of the products we offer. 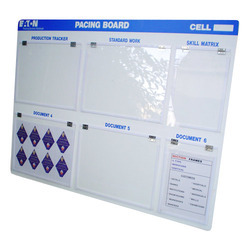 We specialize in the manufacturing and trading of Acrylic Wall Mount Chart Holder. 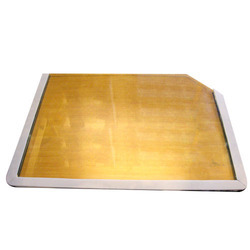 The offered range of chart holders is manufactured by the experts using best quality raw material. Being very stylish and attractive, the clients can avail these offered chart holders from us at highly affordable prices. 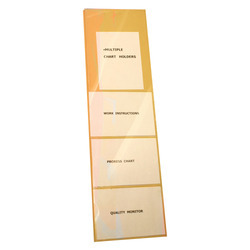 To meet the rising demands of our clients, we come with premium quality Crescent Acrylic Chart Holder. Eco-friendly in its features, the offered product is highly popular in the market. Manufactured in abidance by the predefined industry standards, the entire range of the products offered by us is guaranteed of the utmost quality. We further ensure the premium quality of the products we offer. 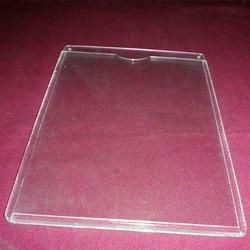 We are one of the leading manufacturers and traders of a wide range of Clear Acrylic Chart Holder. 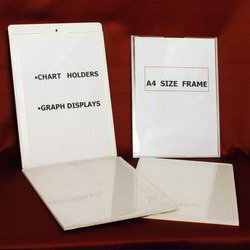 Easily mountable on office doors or walls, these transparent chart holders can easily hold different types of charts in different pockets. The offered range is easy to clean and requires low maintenance. We provide these chart holders at industry leading rates. 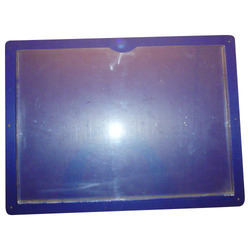 We are counted as the reputed manufacturer and supplier of high quality Designer Chart Holder that is manufactured under the strict vigils of the experts. The offered product is eco-friendly and durable in its features. Driven by an intense desire to serve the satisfaction of our clients at prime, we check the entire range of the products to offered on various parameters and hence assure the utmost quality. 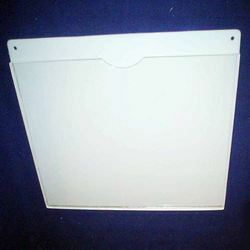 We are one of the reputed names in the market to offer lightweight and high durability Chart Holder that is manufactured from premium quality plastic. 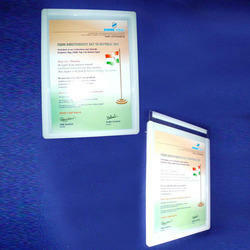 Provided in different dimensions, these card holders are made in compliance with the industry standards. The presented series is applauded for its low maintenance, magnificent capacity and budget friendly rates. 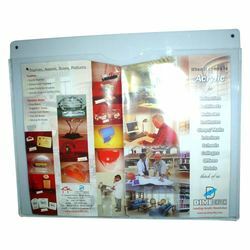 Medha Acrylics is the trusted name among our customers for offering Low Budget Chart Holder. The offered range is widely appreciated for its lightweight, optimum quality and longer life, finding vast usage in displaying important information. These chart holders are provided in simple designs and can be kept at any place in offices, schools, colleges and corporate sectors.